I left Pennypack Trust tonight ONLY because the Phillies were playing Game 2 of the NL Playoffs (which they just won). It has been quite the 24 hours around here. 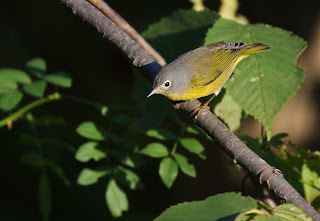 I have been to 3 different woods and each one was dripping with Kinglets and Warblers. 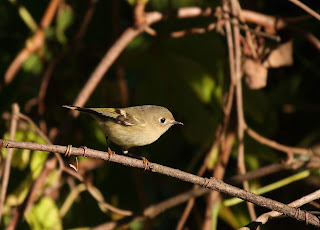 I counted 100+ Golden-crowned Kinglets and probably 75 Ruby-crowned Kinglets. 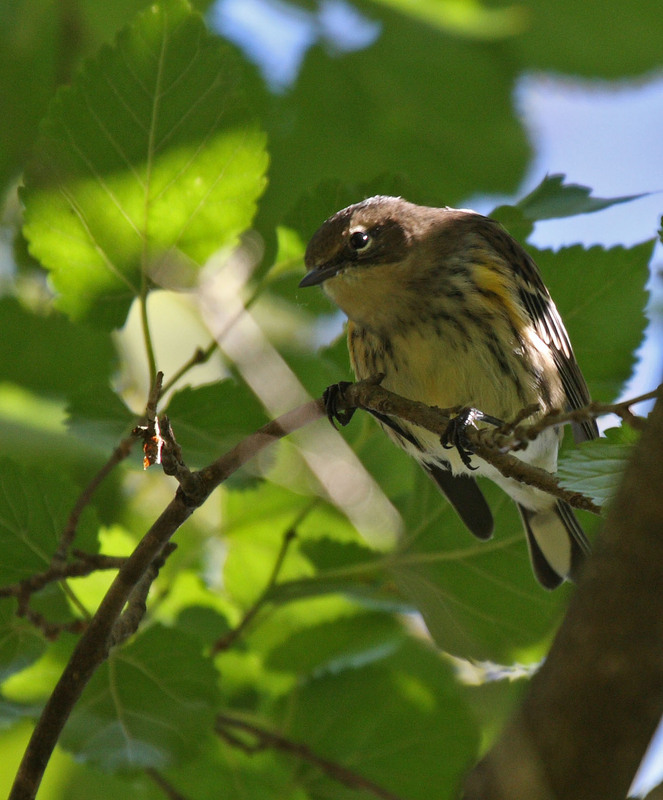 Over a dozen Black-throated Blue Warblers, 50 Yellow-rumped Warblers, and a Nashville Warbler. See photos below. Get out to your local woods if you can. We'll be going to Palmyra Cove bright and early in case you can join us. 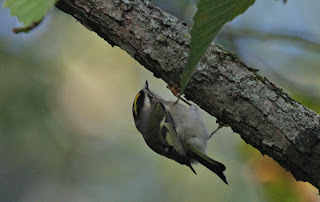 Kinglets are difficult to photograph because the never stop moving and they are often under leaves picking for bugs. This is the best photo that I got all day of the Golden-crowned. You can see where it got it's name. Remember, you can click on any photo to enlarge it for a better view. Here is the best photo I got of the Ruby-crowned Kinglet. They rarely show the ruby crown. These birds crack me up because they look like their head is too big for their bodies. This is the "find" of the day - Nashville Warbler. 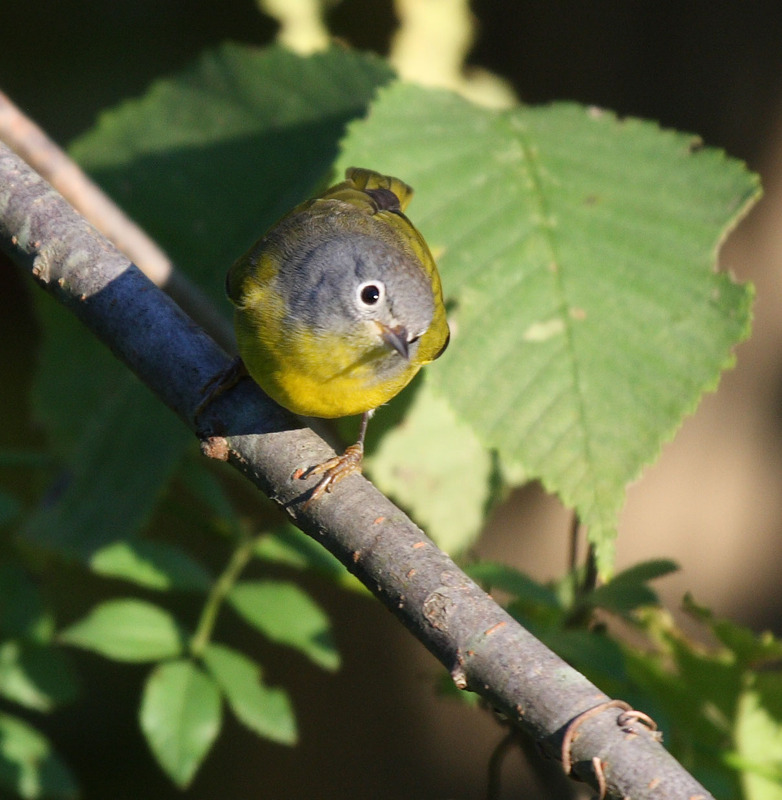 It was mixing it up with the Kinglets right in front of me. These are the best photos. Beautiful little bird. He's looking right at me here. I hope to get some more shots tomorrow. Great shots of the Nashville in that pool of light. Thanks. I couldn't believe that the bird hung around in that light for a dozen shots.